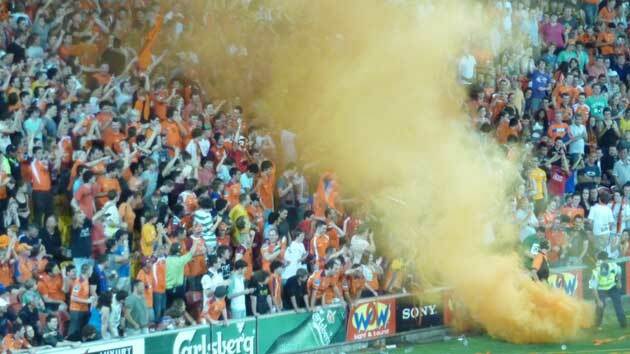 Saturday night was a big homecoming for the Brisbane Roar. 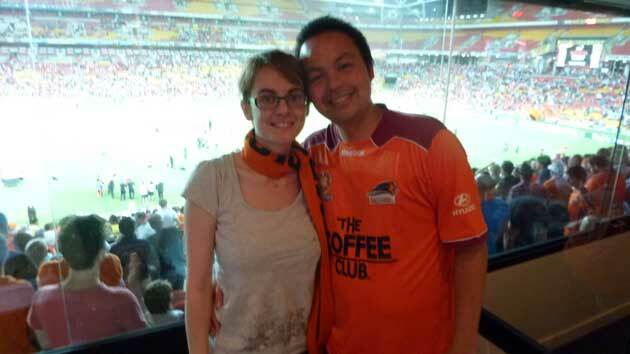 It was the first home game back at Suncorp Stadium since the Queensland Floods six weeks ago. It was also the final game of the regular season, an M1 Derby against the Gold Coast, and the night in which they would be presented with the Premiere’s Plate for finishing top of the league. 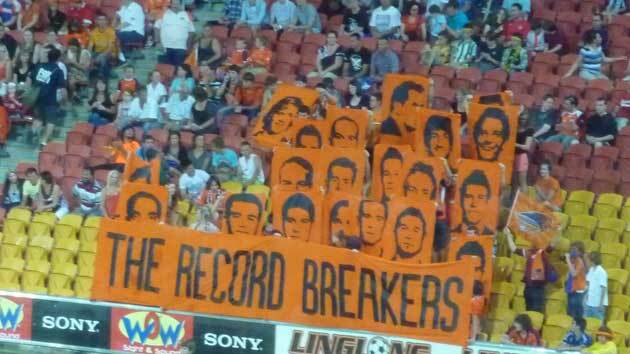 The Undefeated Streak sits at 24 games but the Roar have never beaten Gold Coast which they were hoping to correct that night. A season-high crowd of 20,831 turned up for the occasion and they wouldn’t be disappointed. 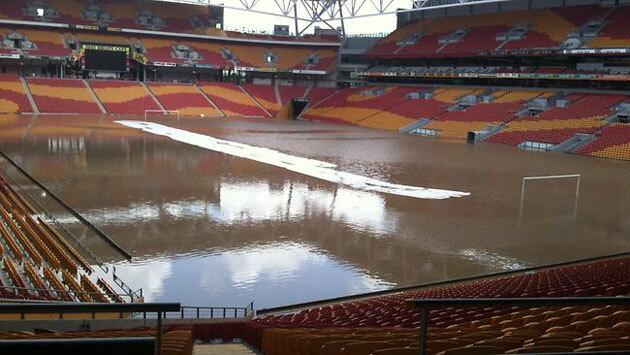 Six weeks ago: Game abandoned, Suncorp flooded, venue closed. It was pretty much the perfect way to wrap up the season. Inside the opening five minutes of the game, Kosta Barbarouses, turned two Gold Coast defenders and curled in a shot from outside the box. It was a welcome return to the scoresheet for the Kiwi striker who hadn’t netted a goal for the Roar since the New Year. From that point onward, the Gold Coast were on the backfoot and wouldn’t recover for the rest of the game. 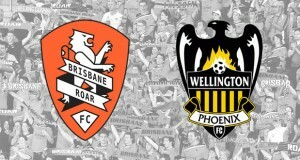 The Roar piled on the pressure for the rest of the half, clearly not happy to just sit on their lead. On the stroke of halftime, they netted their second, a sweetly struck volley from Erik Paartalu that will be a contender for goal of the season. 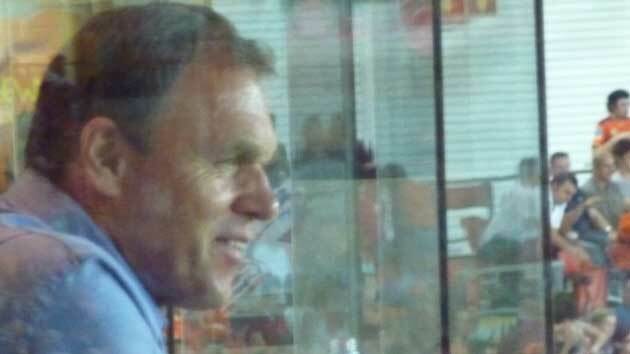 In the second half, Shane Smeltz came closest to scoring for Gold Coast when he fired a freekick that Theoklitos had to tip onto the crossbar. Otherwise, it was all one way traffic. Henrique scored the third goal for Brisbane just after the hour mark and the finally Thomas Broich wrapped things up with a demoralizing fourth goal that saw Matt McKay completely dismantle the United defenders and pass the ball to Broich who only had to tap the ball in from a couple of yards out. It was a dominating performance that emphatically cemented the Roar’s first ever victory over the Gold Coast. 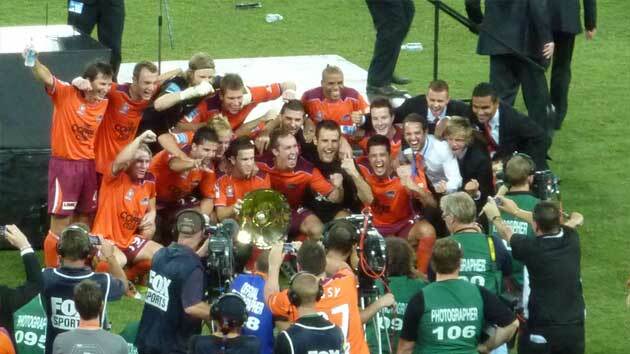 After the ref blew the full time whistle, the Roar were presented with the Premiere’s Plate, recognizing them as the A-League Premieres for 2010/11. Next up: A major semi-final against the in-form Central Coast Mariners. It’s Finals Football time! 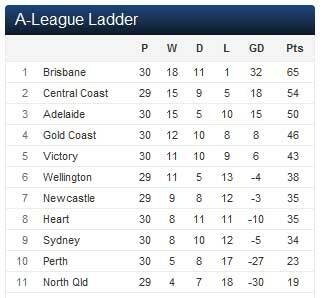 Robbie Fowler clearly hasnt done much for Sydney FC!